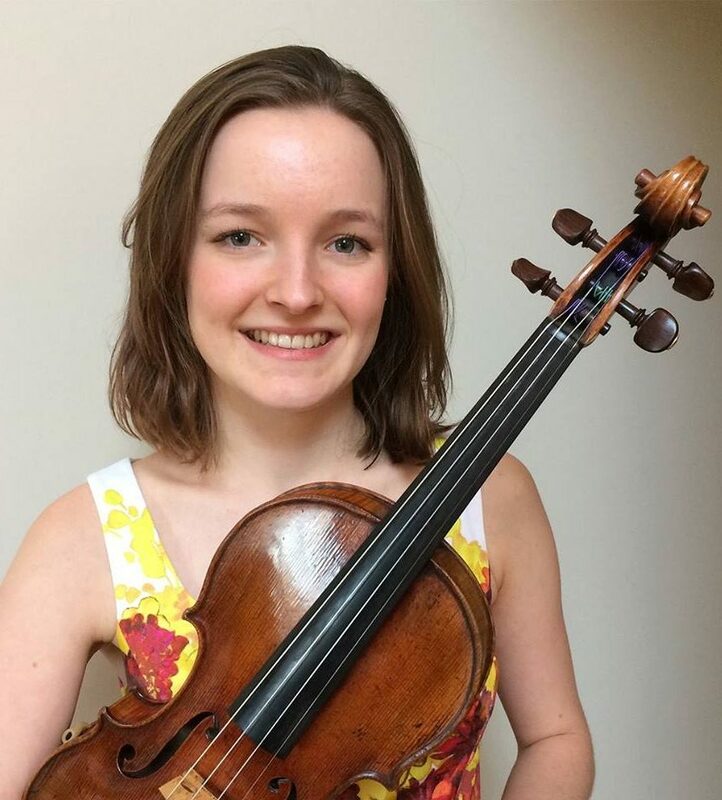 Emma Lisney comes from Hampton, West London and is in her second year studying Music at Pembroke College Oxford, where she holds a Domus Scholarship and Instrumental Scholarship. She started playing the violin at the age of six, studying with Pauline Scott. Currently she studies with Paul Barritt. Earlier this year, she took part in masterclasses with Vadim Repin and Pinchas Zukerman and she led the orchestra in Faded Ink’s production of Britten’s Turn of the Screw. Also, in March this year she won first prize at the 2016 Oxfordshire Concerto Competition, performing Prokofiev’s second violin concerto with the Oxford Philharmonic Orchestra. Coming from a family of professional musicians, she has given many performances throughout the United Kingdom, including recitals for Operation Smile UK, participation in a Richard Baker ‘Music Festival at Sea’ on MV Arcadia (P&O Cruises) – and partnering Dame Emma Kirkby in concerts in London and Norfolk. Future performances include the Tchaikovsky Concerto with the Oxford Youth Orchestra and Brahms Double with the St Peter’s Chamber Orchestra. Emma’s violin is a Paul Bailly (circa 1890), on loan from Beare Violins.